Hello, football fans! If you know me, you’re probably laughing that I’m writing a post about football. I am … football-knowledge-challenged. Which is almost unheard of Philadelphia, a city that pretty much bleeds green. Social plans are either made around the football schedule, or are made by considering what activities would allow one access to a TV to check the score. Anyway, it’s almost bowl time again, which means bowl time snacks. 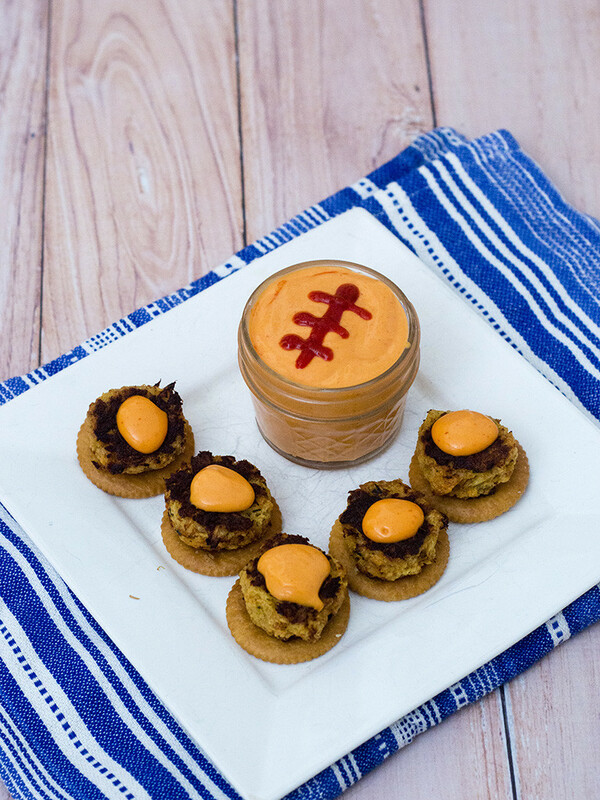 Pretty much any finger food can be a bowl time snack, but for the Big Game, you need Big Flavor in your snacks. I love bowl time snacks that are not only delicious, but easy. 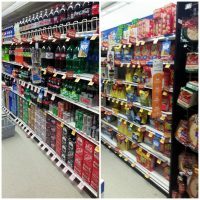 My local supermarket, Acme (a subsidiary of Albertson’s), has a huge display of snack options and ingredients for football parties, and both Coca-Cola and RITZ Crackers are on display. 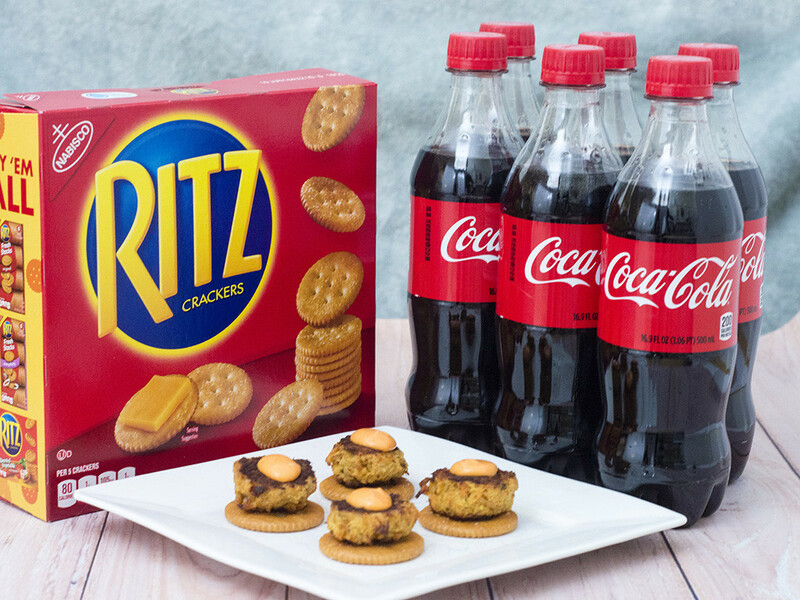 This easy snack features a baked mini crab cake on top of a RITZ® Cracker, and garnished with a spicy aioli sauce. 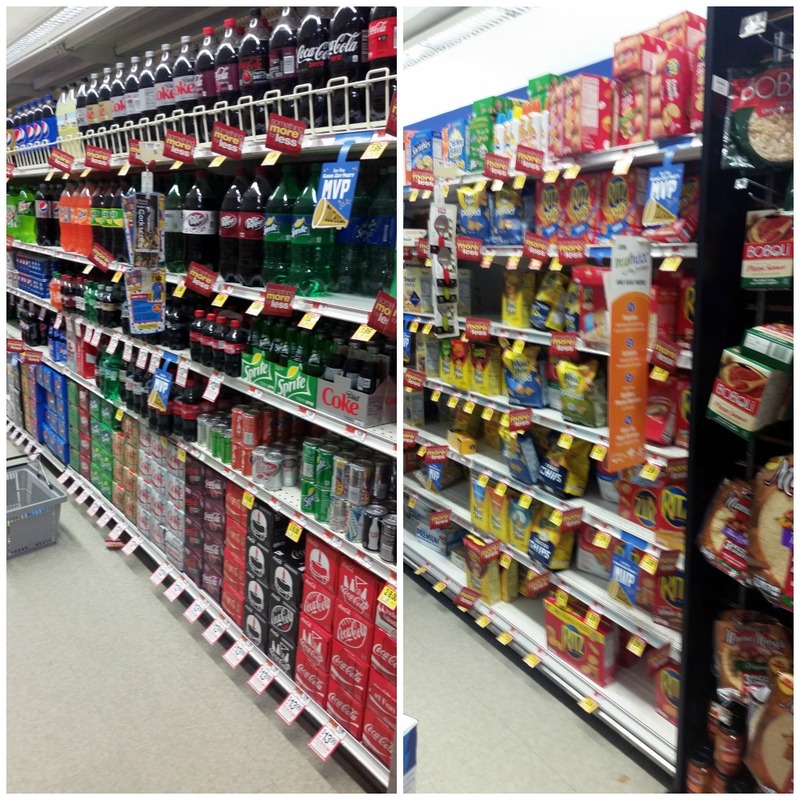 Everything you need is in your local Acme. Even better, you can make the crab cake part ahead of time, and either refrigerate or freeze them until your big game party. Aioli is a condiment made with egg yolks. This recipe uses a shortcut by starting with store-bought mayonnaise. You can mix it up in about a minute, and adjust the flavors to taste. Use half the amount of sriracha specified if you’re not a fan of heat. You can use low-fat mayo if you prefer, but I highly recommend against fat-free, as the fat in the mayo balances the spice of the sriracha. 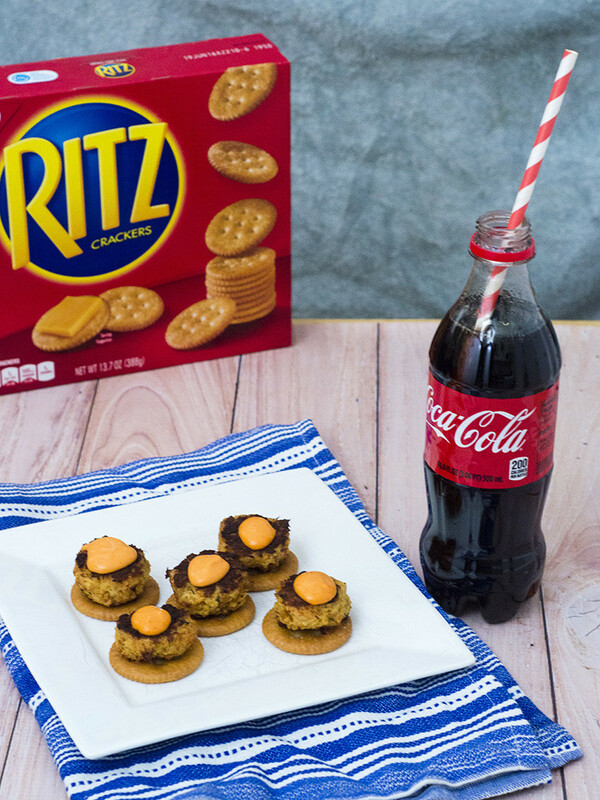 Join in the excitement by visiting the Home Bowl site and get inspiration for more fun RITZ® cracker recipes! Preheat your oven to 375 degrees. Line a sheet pan with tinfoil and spray with nonstick spray. Very gently combine the crab cake ingredients in a large mixing bowl until uniform. Use a small scoop to portion the mixture on the baking sheet. Bake for 15 minutes, until the bottom is golden brown. 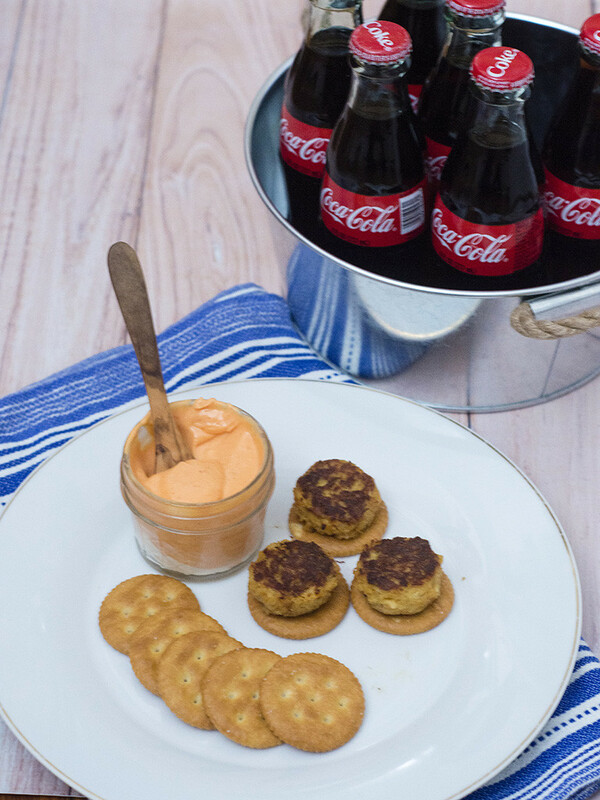 Use a spoon to carefully flip each crab cake over, and bake another 10 minutes. If not using immediately, cool to room temperature, then place in an airtight container in the refrigerator. When ready to serve, mix the aioli: combine all ingredients in a small bowl and whisk until uniform. Taste, then adjust seasoning as necessary. If crab cakes were made ahead, warm them in a 400 degree oven for 10 minutes. Place RITZ Crackers on a serving plate. 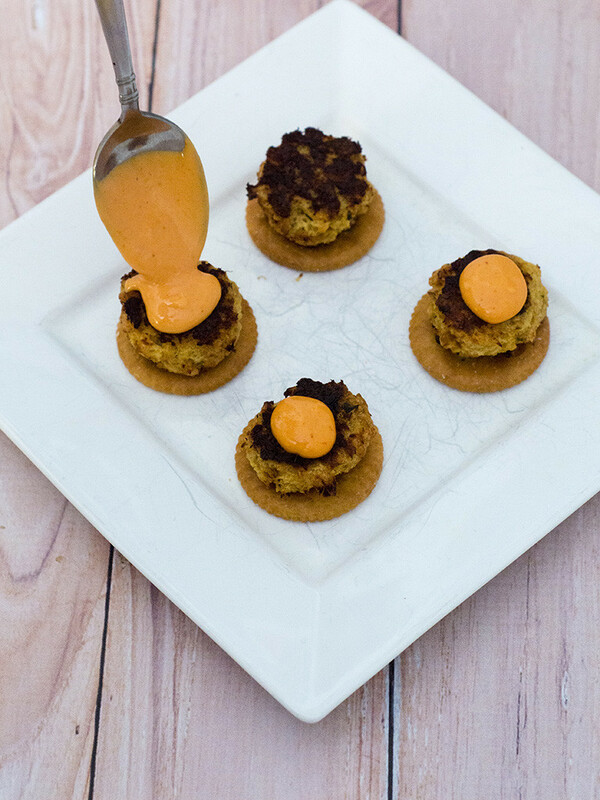 Top each cracker with a crab cake, then spoon a dollop of aioli on top. Place remaining aioli in a small condiment bowl and place on the serving platter.